Every one that undertakes orthodontic treatment has the intention of keeping their teeth straight, healthy and beautiful for life! Many orthodontic treatments require a lot of time, patience and expense to complete and to achieve the desired result, so it comes as no surprise that patients expect their results to last. However, it is common for people to forget perhaps the most important part of the treatment – the retention phase. Once the treatment is completed, it is up to you to make sure that your teeth stay in their optimal position and condition. Unfortunately, if left unattended, your teeth will continue to move and shift around your mouth; however, with a few simple steps, you can give your smile the best chance to remain straight! If you’ve had orthodontic treatment, you’ve probably heard this one a thousand times. That is because it is so important! When the orthodontic treatment is finished, you will be supplied with a clear, removable retainer. Depending on your situation, the amount of time that it needs to be worn will vary. However, as a rule, it should be worn all day and night (except when eating and drinking) for the first three months. After this time, your orthodontists can see how your teeth are taking to their new position and whether they are moving. If all looks well, you will only need to wear your retainer at night when you sleep. Keeping your retainer clean is important, as It can trap food and debris left in your mouth. Run your retainer under lukewarm water, gently scrubbing it with a toothbrush to lightly remove excess debris that may have accumulated there. It is advised that you don’t use tooth paste to clean your retainer, as it can be abrasive on the surface. Another retainer option is called a ‘fixed’ retainer and involves the use of a thin wire glued to the back of the teeth to support them and to hold them in place. Usually, these wires remain in your mouth indefinitely. Just as with braces, this wire can trap food and debris, so it is important to take special care of it. It is common that patients experience plaque build-up in this area, which can be taken care of with a dental clean every six months to keep it in check. Not only can visiting your dentist regularly help to keep your teeth straight and in good condition, it can also keep your overall oral health in shape. 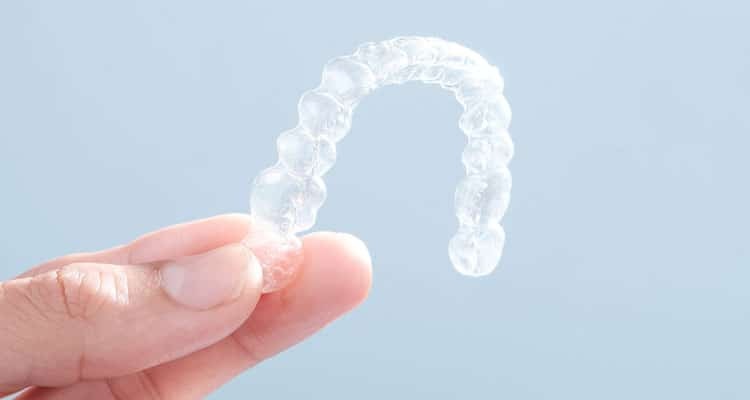 Even if you do wear your retainer regularly, unfortunately, there is no guarantee that your teeth won’t shift slightly. This is a completely normal part of ageing. If you do notice shifting, it is import that you report it to your orthodontist promptly, so they can find a solution. The sooner you make an appointment to have them check the movement of the teeth, the more likely it is that the solution will be simple. It is also far less likely it is that further orthodontic treatment will be needed. At Best Smile Orthodontics, we are committed to ensuring that your smile remains straight for life! Our level of care extends beyond taking you braces off, or taking off your Invisalign aligners for the last time. Our friendly team are here to help, should you have any questions. Please don’t hesitate to contact us to find out more about orthodontic after care, or about any of our treatments!